Donations will be accepted November 5, 2018 through November 9, 2018 and November 27, 2018. Anyone can donate even if you don't have a parking fine! Citation must be dated August 1, 2018 or later to qualify for this program. If you donate, your name will go into a drawing for a free parking permit. If you have already purchased a pass you will be reimbursed what you paid for the permit. There will also be a drawing for a $50.00 Barnes & Noble gift card! All items donated to the NMU Food Pantry. The value of items will be determined at drop-off. 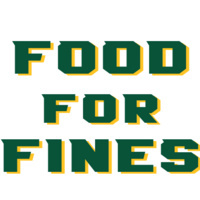 Drop off at NMU Police Department Parking Services between 8 a.m. and 5 p.m. from November 5 through November 9. Drop off on November 27 (National Day of Giving) is also available!